yorkshirebidding has no other items for sale. Details about Advertising. Dux Chemical Solutions, Stratford. 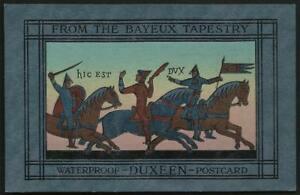 Bayeux Tapestry. Novelty Card. Advertising. Dux Chemical Solutions, Stratford. Bayeux Tapestry. Novelty Card. YORK INTERNATIONAL CARD EXPO 2018. Friday August 31 (11.00-6.30pm) & Saturday September 1 (10.00-4.30pm). York Racecourse Grandstand. 80 dealers buying and selling old (and some modern) picture postcards, cigarette cards and ephemera. Details 01347 822722.